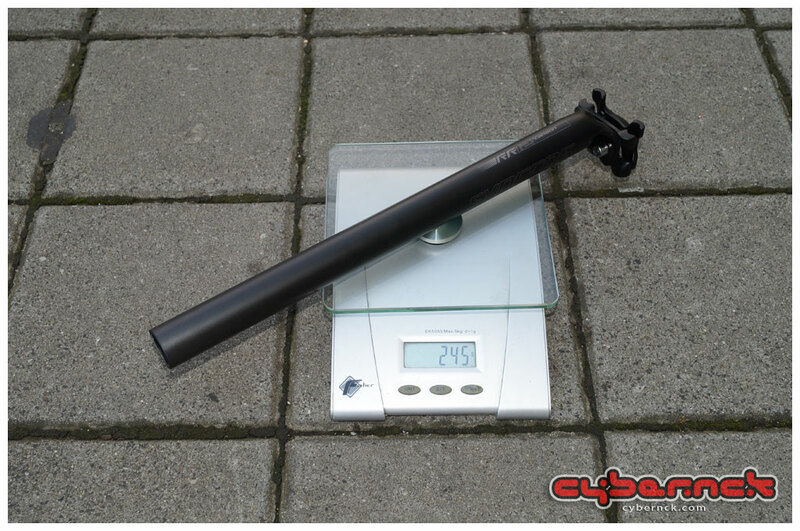 Syncros RR1.2 Carbon seatpost 27.2/350 mm is exceptionally heavy @ 245 grams, so there's an area for weight savings in the future. The post itself is light - the hardware is the heavy part. At least it's compatible with oval carbon seat rails. The seatpost came with the bike - my beloved Fizik Cyrano Carbon is of no use as it is 31.6.